Added on 01 August 2018 . By Leighanne Bent. Lokhandwala boasts a beautiful setting with simple, colonial touches. It’s never really ideal when you arrive to a restaurant on time and your table isn’t ready, is it? But there is an exception to the rule when it involves sipping a few drinks in a secret bar. Vijay’s Lounge is hidden behind a discreet-looking door next to Lokhandwala, and I’m here to divulge the deets about my unexpected experience with the two. We had to travel through two locked doors and up a rickety staircase to reach Vijay’s Lounge after our little table mishap, and although it seems like a normal doorway to someone's flat, you’ll be stumped by the interiors waiting for you at the very top. 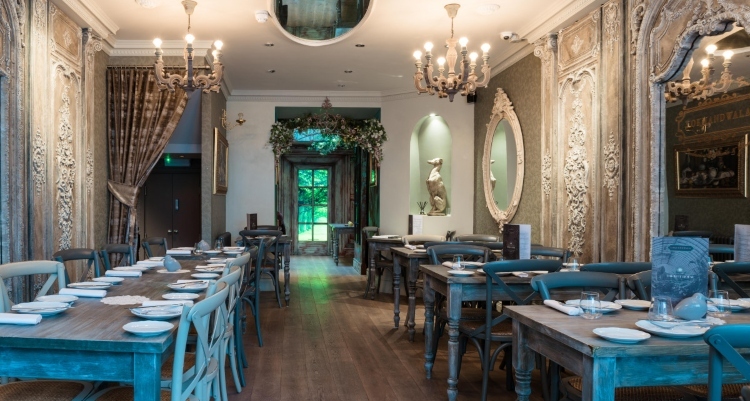 Oozing vintage glamour with large ornate frames, cabinets packed with trinkets and a royal colour scheme, this spot is anything but ordinary, themed around the love affair between a Victorian aristocrat, Lady Charlotte, and her Mumbai street boss lover. The icing on the cake, however, is their sun-trapped terrace, that only has enough room for a handful of tinsie tables. Finishing our cocktails - I ordered the Star of India (that’s like a pimped up G&T), consisting of cardamom and fennel seed-infused gin, marmalade, crème de cassis and tonic water - we slid downstairs to take a stab at the Indian sharing plates Lokhandwala is famed for. Unique like Vijay’s Lounge, the restaurant is like something from a movie set, with notable colonial touches. Vintage bird cages hang from the ceiling, greenery spills from cracks and crevices, and luxurious frames wrapped in gold adorn the mint and white-washed walls. Is it romantic? You betcha, but it’s also great for a catch up with friends and family. From the vegetarian tapas to the curry section, the menu at Lokhandwala is crammed with diverse flavours. Lokhandwala is the brainchild from the team behind The Grub Fest - India's biggest food festival. This piece on information (coupled with the fact that I creeped heavily on their Instagram before visiting) meant they had plenty to live up to. Ordering three items from the tapas section, out came the stuffed portobello mushrooms £6, the tikki £6, and the smoked chicken £8.50, each at different intervals. The chicken was tremendously tender, with a rustic clove and coriander pesto sauce on the side, but it’s the veggie tapas that won the table over. The portobello mushrooms were meaty with plenty of bite, packed with apricot green chilli and feta cheese, while the tikki were stuffed with round green peas, topped with sweetened yoghurt, tamarind and mint chutney. Resembling potato croquettes, the flavour was sweet at first, balancing out thanks to the yoghurt it’s served with. Proving that vegetarian food is a match for meat any day of the week, we paraded onto our mains. 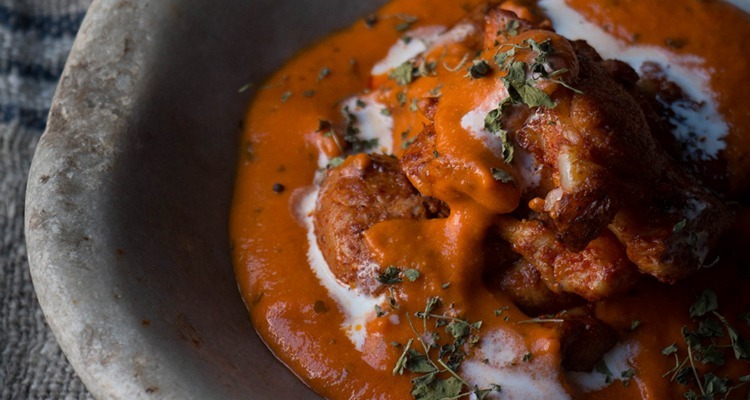 The most expensive dish featured on Lokhandwala’s menu is the lobster Alleppey curry. Coming in at £18, this dish is inspired by the famous curry from the city Alleppey, known as The Venice of the East. Intrigued to see how it fared up against my brother’s choice of chicken makhani £12.50, we delved into the two dishes, piling a portion of each onto our plates. The chicken makani, made with tomato fenugreek and butter stew, had an almost undetectable spice to it, delivering comfort with each mouthful. The lobster was no mean feat either, created with raw mango, homemade spices, and infused with coconut milk. The meat was cooked perfectly, presented in chunks that fell apart in your mouth. 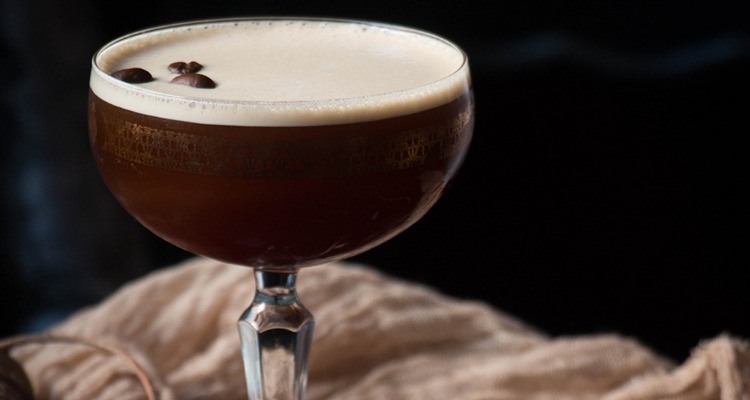 Skipping dessert, we asked our waiter for a classic espresso martini to finish our five star meal. No novice when it comes to cocktails, the bar team here know what's what. Drinking pimped up G&Ts in a secret bar was never my intention when I planned a trip to Lokhandwala, and the very fact that Vijay’s Lounge even exists knocked me for six on the night, never mind the incredible food that followed. So, if you’re looking for an unforgettable dining experience in the city, scribble this one to the very top of your list.